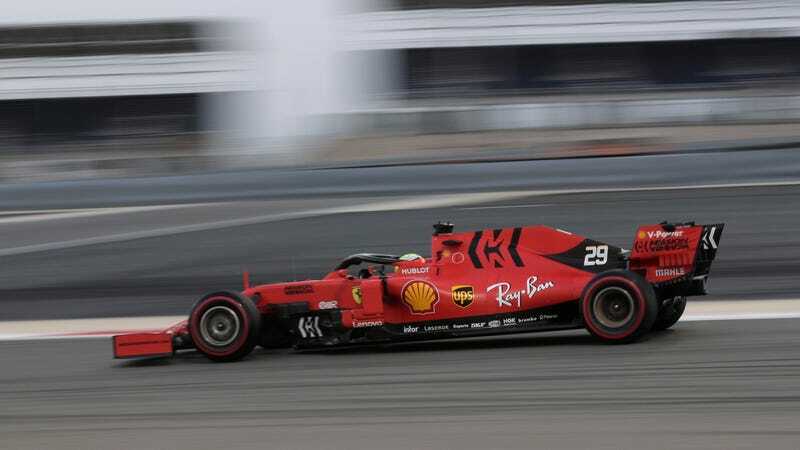 Mick Schumacher, son of Formula One legend Michael Schumacher, tested the current 2019 Ferrari today in Bahrain, setting a time of 1:29.976. While the time was over a second slower than the pole time for the Grand Prix set by Charles Leclerc, was good enough for the second best time of the test, just about six tenths off Max Verstappen’s best time of day. Schumacher ran a total of 56 laps. He will also test the Ferrari-powered Alfa Romeo Sauber car on Wednesday.